Comments, questions, suggestions will be greatly appreciated. What made you say, “I can’t wait.”? You no longer have a choice about WOMM. While marketers were reading the newspaper and watching TV, The Customer Has Hijacked Marketing. You couldn’t have seen it coming. Not to the degree and extent it has. You have to join it. Why 77% of TiVo owners skip ads. Business as UNusual. Why the New Media Explosion won’t let you do business as usual. How new media is fundamentally different. You can no longer control information. WOM terminology — a whole new way of talking and thinking. It’s a whole new mindset because marketing is a different game, with different rules, in a different arena, and completely different players and fans. It is about acknowledging that the customer has control, and showing the easier path. Your customers do not need information. They have too much, and they get more, courtesy of the search engines, e-mail, blogs, etc. They are overloaded, just like you. You don’t need lists of word-of-mouth techniques. Make every decision in the decision process easy, simple, fun and fast. 1000-5000X more powerful than conventional marketing. Really. And, I’ll prove it. What Malcom Gladwell and every other author missed. Design your story — What is WOMworthy, remarkable, extraordinary about your product, brand. In a story. Why? Why will people talk about it? What’s unusual about its history, how you do business, your philosophy, principles, your founder’s vision? What’s the story about how you treat people? Why will people tell the above story? Why will it make people look good in telling it? How will their friends benefit from the story? Identify your influencers and invite their involvement: The experts, product advocates, evangelists, etc. Give them an amazing “insiders” experience, input, knowledge. Develop WOM channels (materials and events) that spread the word from the above. Monitor, track, evaluate, tune, readjust. Interactive Web sites where customers supply the material (Facebook, MySpace, Craigslist, eBay, YouTube, Flickr, TripAdvisor, and so on, not to mention blogs, podcasts and amateur video). 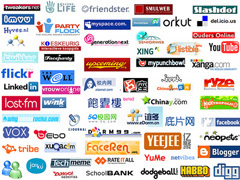 CGM (consumer generated media) e.g., blogs, chat groups, list groups. Consumer generated advertising. IPod customers commercial. George Master. Which Word-of-Mouth Methods Work Best for What? WOMM for professional practices — physicians, accountants, lawyers, consultants. WOMM for tradespeople — plumbers, other repair persons, etc..
Why you can’t measure WOM with traditional control group research – the Silverman Uncertainty Principle. Don’t get caught by the hype. “When people realize that WOM is 1000x as powerful as all of conventional marketing combined, every sleazeball in the world will come out of the woodwork and ruin this medium.” Who said it, why, and what happened. Warning to scammers, spammers, etc. Comment spamming, phony reviews, made-up testimonials, etc. The Secrets of Word-of-Mouth Marketing was published in 2001. I’ve been compiling a list of the new media that have emerged since then. There are about 20-30 new categories of media (depending upon how you slice and dice the categories , with several major players in each category — hundreds of choices! Totally overwhelming for the marketer. As I was researching the list I’ve become increasingly amazed by how many there are, and how widespread their use is. But this one rocked me back and almost knocked me out of my chair. I was installing Sharaholic plug-in into my Firefox browser. As I was doing so, I came to the place where they asked me to indicate which Social Media Services I used, and I was confronted with the following set of choices, which was astounding in itself. But what rocked me back was how many of them I use (21!) — coupled with how many I don’t even know much, if anything, about (I admit it: 48). Now I’m an expert in the new media and Word-of-Mouth Marketing. I stay pretty current. Yet, there were 48 I don’t know very much about. And 21 that I use. But I don’t use them smoothly. I have trouble managing them, and knowing which is best for what, when 2 or more can overlap in capabilities. I’d say I’m in the upper 1% in the 50+ crowd in this area, and I’m overloaded, confused, inefficient. So, here’s my point: Imagine how the rest of the world feels? There are enormous opportunities not only in new capabilities (where everyone’s looking right now), but in simplifying, integrating, educating and making the whole area much easier and much more useful to people who aren’t kids and have some real work to do. I have been trying for a month to get this blog indexed by Technorati, the search engine that specializes in blogs. The procedure is pretty simple. When you give them your blog address — in this case http://mnav.com/blog — they give you a little piece of code that is 10 numbers and digits long, which you can see at the top of this post. You publish that on your website, which tells them that this is your site. Well, that little piece of code has been sitting there for about a month. Technorati claims that it goes out and finds that code on your blog within about an hour. When I keep checking, I get various kinds of error messages which they ask you to report back to them. I've done that several times over the last month, receiving an automated response to my e-mail but never a reply or resolution. So I went to their support forum. There are dozens upon dozens of complaints about the inability to claim blogs. Most of these are unresolved and unanswered. A wider Google search (what, do you think I'd use Technorati?) reveals widespread complaints about their unresponsiveness chronicled on dozens of websites. Apparently, their unresponsiveness is both broad and deep, across many different issues, for a long period of time. These complaints stretch over the last couple of years. They are punctuated by occasional responses from Technorati claiming that they are rectifying one kind of technical problem or another, but never, apparently, resolving the issue. Responsive, customer oriented companies actively monitor the web for these kinds of posts. They respond quickly to complaints, especially from authors and bloggers like me. Especially when the post might give voice to the many many other people out there who are also dissatisfied but not leaving complaints on their forum. let's see how long it takes them to spot this post and respond to me. Don't hold your breath. I nominate them for Most Unresponsive Company of 2009. Oh, the lesson: You don't have to work hard at making people hopping mad. Just ignore them. It's easy. An expert knows everything about an area except one thing: What it’s like to know nothing. “Knowledge Blindness” —and its extreme form “Expert Blindness” — refer to the things that people who are knowledgeable can’t see because they can’t experience what it’s like not to know: such as what words beginners don’t understand, how difficult a task is to do or learn, distinctions that non-experts can’t discriminate and appreciate, and implications that are dependent on advanced knowledge. It bears repeating: Knowledgeable people can’t see what it’s like to know nothing. Knowledge blindness is the tendency to not be able to see the details, complexity, ambiguity and difficulty of someone not familiar with an area. When something is familiar, it is automatic. The details and examples that built the concept drop out. It is now an abstraction. If you use that abstraction with a beginner, he/she won’t know what you’re talking about. So, experts can talk with each other directly in sweeping abstractions, without the specifics that the abstractions group, while non-experts have no idea what they’re talking about. To communicate with beginners, you nee to start with concrete specifics and real-world examples, then group them into abstractions. That’s why I started with the driving directions example above. In marketers, this is extremely prevalent in product descriptions. Remember all the times you tried to follow assembly instructions or a product manual and it was gibberish? People do not realize that new customers do not understand even the most rudimentary terminology. In my marketing consulting practice, knowledge blindness is why most of my clients come to me, although most don’t realize it. When I explain it, it seems to come as a pleasant shock. Pleasant because it’s great to be reminded how expert you are, but it’s a bit of a shock to realize that you can’t go back to experience things through the eyes of your prospects and customers. If you’ve invented the product or service, or been through the steps of its development, you have never actually experienced seeing it for the first time in its current, finished (for now) form. This is particularly true in finding the decision blocks that are so central to my approach to marketing. You literally can’t see what people are getting stuck on: their vague, unarticulated qualms, worries about things that don’t exist, confusions, etc. Sometimes the customers themselves can’t tell you. You need an outside person who knows the customer decision making process to go through the process of learning about your product, and spotting the probably sticking points, then verifying it by fixing and testing. If you keep wondering why people don’t get the “obvious,” especially in areas where you are an expert, you’ve got knowledge/expert blindness. What are some of your favorite examples of Knowledge or Expert Blindness? Add them in the comments section below. Although they have made enormous strides, Apple still doesn’t get how hard it is for people to switch from Windows. I’ve been using the concept of knowledge blindness as long as I can remember. So, I was knowledge-blind to its importance. Many people tell me that once they hear the concept of knowledge blindness, they start spotting it in themselves and others several times a day, and find themselves talking about it often. If you practice spotting knowledge blindness in yourself and others, your writing will improve, you’ll spot massive omissions in your persuasion materials, you’ll see competitive opportunities everywhere and your vision will improve. Wants to hear how ‘far out’ the product is. It’s so new and unusual, no one’s even heard of it or tried it. It works on a totally new principle. Most people wouldn’t even understand it. It’s so far out that there is nothing to compare it to. It’s in a different class. Now that you’ve tried it successfully, you can help others learn about it. Looking not as much for ‘hard’ information than for a vision of what might be. Here’s how I envision using the product. The other products are more ordinary. This one has possibilities. Doesn’t care that it hasn’t been used in his situation, just that it may be applicable. This product doesn’t work all the time. But when it does, wow! Middle Majority Wants to be competent. Concerned with practicalities. This has been tried and really works in situations like yours, in your industry, etc. Wants comparisons about how it’s working out in situations similar to his own. Here is the practical information about how this is working out in the real world. Wants to verify that it will work in his situation without investing too much time and trouble. Late Adopter Wants to reduce risk. Promise a good deal on a tried and true product. It has become virtually a commodity and this product can get you better price, delivery, service, training, etc. Wants to ‘shop around’ and get the proven product with the best deal. I’ve checked out the pricing and service etc. and it seems to be the best product. They’ll come in and do it all for you. You’ll get in trouble if you aren’t using this. Wants to find the loopholes, problems, negatives, etc. If he doesn’t find some, will keep looking. Basically won’t try anything new. Needs reassurance that the product is the standard product used in his industry, situation, etc. That’s the way we all use it. The crisis: Physicians and patients are not paying attention to your messages, causing traditional marketing costs to escalate to an intolerable level. This is raising prices, causing a cascade of other crises. I’m in a unique position to solve the problem: Thirty-five years ago I revolutionized pharmaceutical marketing by inventing "peer influence groups." We’ve reached the end of an era. It’s now time for another major change. With a fundamentally new approach you will cut spending on new drug launches from hundreds of millions of dollars to about $25–50 million with a greater effect than with traditional promotional efforts. The saved money will give you a higher profit margin while allowing you to lower drug prices. The launch will be twice as fast, cost one tenth as much and be multiples more profitable. The physician’s adoption cycle will be dramatically shortened. Physicians will use the drug more skillfully and more effectively, further driving its sales. Word of mouth is the most powerful force in the marketplace. Yet there was almost no useful literature on the subject until 2001. It was almost totally neglected, primarily because people thought that they could do nothing about it. The following article appeared in my newsletter The Market Navigator in 1991. It has some fundamental and non-obvious insights into why word of mouth is so powerful and how to harness that power. There has been a great deal of controversy around so-called Peer Selling Groups or Peer Influence Groups ever since Ron Richards and I co-invented them over twenty five years ago. Lately, the controversy has heated up in the pharmaceutical industry, where they are most widely used. Their existence has become threatened by a ban, by the AMA and the Pharmaceutical Manufacturer’s Association, on paying gratuities to physicians for participating in educational activities. The payment of these honoraria is regarded as a bribe. For those of you in the pharmaceutical industry reading this article, I’m going to offer a proven solution to the problem later on in this article. I’ll whet your appetite by saying that I have never paid an honorarium to a participant in a Peer Word of Mouth group (as I call them) in more than 25 years and thousands of sessions. It might shock you to know that Peer Selling Groups have become the largest single promotional item in many products’ budgets, particularly in the pharmaceutical industry, in some cases exceeding the money spent on salespeople, advertising, direct mail and sampling combined. They have also been measured to be the most effective selling method for many products ­ more effective than salespeople, advertising, direct mail and sampling. It’s clear that peer selling groups are a major addition to the marketing mix, and are here to stay, because they increase sales, cost-effectively. I might also add that, when done right, they are the most professional, honest and persuasive means of communicating with high level people such as physicians, executives and other accomplished people. I am both gratified and dismayed at their success. I feel vindicated after all the years I spent trying to convince people that they work. But I am dismayed that peer selling groups are not well understood, and there are some sleazy and unprofessional approaches to them that reflect badly on me as one of the people known to be their inventor. The time has come to clarify what Peer Word of Mouth Groups are, what they can and can’t do for you, and how to use them most effectively. I’d like to start with a description of some of the marketing problems that you have, and show you how Peer Word of Mouth Groups can solve them. Then I’ll describe how to set them up most effectively, well within ethical guidelines. Come from the right source. Be presented in a context in which the customer is receptive. However, even the right information presented in the right way is often still not enough. Past a certain point, you begin to spin your wheels. Once people have heard of your product and its claims (information), they need confirmation and verification — Confirmation from independent sources that the claims are valid, and verification that the product will do the job it promises to do in their particular situation. (1) The Information Phase (Awareness and Interest). First there is the learning phase in which information is gathered. This is where the customer considers whether he is interested in the product, what benefits it may have to him, whether it is worth finding out more. The major mental set is: "If the claims are true, would I want it?" This is the phase that marketers address most of the time, to the almost total neglect of the second phase. (2) The Verification Phase (Trial, Evaluation and Adoption). In the second phase, the customer is trying to find out if the claims are true. The conventional kind of information that marketers try to provide is almost totally irrelevant to this phase. Prospects already have most of the information. They need verification, which they think they can’t get from you, because you are not objective. They need verification from an objective source. In their attempts to verify the truth, information must be perceived to be objective in order to be believed. But most marketing is advocacy. Advocacy is not perceived to be objective. Therefore, most marketing is not viewed as objective. Therefore, most marketing is not believed. What do I mean by objectivity? Accurate, complete and clear presentation of the relevant facts and conclusions. In other words, an unbiased evaluation of the advantages, disadvantages and value of the products. It’s not that they don’t believe that what you are saying is true. In some industries, such as the pharmaceutical industry, there are severe penalties for giving inaccurate information and for lies of omission. There are many ways to slant the truth. It can happen unintentionally and from the most noble motives of enthusiasm for your product and a desire for people to reap its benefits. Everyone realizes this. Most people would no more take at face value a manufacturer’s evaluation of his own product than they would leave a fox to watch the chicken coop. e.g., Facts & Comparisons, The Medical Letter, Consumer reports, Infoworld, PC magazine, Dataworld. So the necessary objectivity is only provided by something that delivers independent experience and evaluation. which conventional marketing does not deliver. So, what keeps most stalled superior products from reaching full market share is not the time it takes people to find out about your product, but the inordinate amount of time it takes the decision makers to get the independent experience to confirm and verify the truth of what you are saying. So, people are caught in a dilemma. A physician, for instance, will not get experience with a drug unless he has confidence in it, but he can’t get confidence in it unless he has experience with it. If what holds products back is the time it takes to get experience, the problem becomes how to accelerate that experience-gathering. Basically, there are only two ways for your customers to get experience: directly or indirectly (vicariously). These methods can be extremely effective, as every marketer knows. They are powerful because they provide experience, which can conclusively provide the verification and confirmation that people need to make a decision. But demos and trial also have several disadvantages. Demonstrations are not always possible. For instance, there may not be anything to see in a demo, as in the case of some drugs. Even when the product can be demonstrated, the demo is often inconclusive. Conditions are often artificial, as at trade shows and dealers, so the decision maker does not know whether the product will work the same way in the real world. The demonstrator may have more skill than the customer. From the point of view of the marketer, there is little control over the demonstrator, who may be a dealer or a rep who is not as skilled or motivated as you would like. Free trial (sampling, equipment loans, etc. ), as powerful as they can be, also has its own set of difficulties. There are many things that are impossible or difficult to try or sample: Life insurance, a new surgical procedure, other all-or-nothing major commitments. Often, products that one would think are easy to try, such as new prescription drugs, involve a large perceived risk, or innate caution and conservatism, which make people like physicians and pharmacists want to wait, even when you give samples. Often, demos and trials tend to make the customer want to try other products as well, increasing the time it takes for a commitment. In an effort to reduce the risks inherent in direct experience gathering, such as directly trying the product, and also in an effort to broaden the experience to a wider sample, customers and prospects often go to indirect experience gathering. They will seek the opinions of experts, ask their peers and consult independent, respected rating services. They will use the various forms of word of mouth. Most marketers agree that Word of Mouth is the most powerful force in the marketplace. The conventional explanation is that it is more credible. That’s true as far as it goes. The rest of the story is that it indirectly supplies the independent experience that is necessary for confirmation and verification, which in turn is necessary for opinion change, which is necessary for behavior change. Indirect trial (word of mouth) and direct trial Independent and Direct Experience Objective information Confirmation/verification of your claims/promises Belief/opinion change (persuasion) Action/behavior (motivation). The problem with indirect experience gathering from your point of view as the marketer is that it is out of your control. In fact, that’s precisely why word of mouth is so valued by the decision maker. Word of mouth is independent of the seller, and so it’s more objective. This is where prospects feel that they can get the real story. Under most circumstances, as soon as you try to control it, it loses its independence and its credibility. Like a forest fire, Word of Mouth is smoldering, burning or blazing along on its own, the most powerful force in the marketplace, out of your control. You never know when it might strike, or what good or damage it may do. You usually do not know if it’s there, or what form it’s taking, or whether it’s doing good or harm. But word of mouth can be harnessed. Many products are at a point where they just won’t respond cost-effectively to conventional marketing methods. This can happen anywhere from before the product launch to years into the product life cycle. With some products, it becomes evident before launch that it is too complex for your salespeople, ads, or other conventional selling media to be effective. Even after a product has been out for a while, you can keep pouring more and more money into conventional media, without much visible result. You can change your ad campaign, media mix, sales message, sales aids, brochures. You may even go to alternative media, such as experts’ endorsements, symposia, sampling, free trials, demonstrations. You keep thinking you haven’t found the right message, or the right way to present it. You probably have awareness and interest, but little trial and adoption. The only thing that people are adopting is a wait-and-see attitude. In this day and age, the problem rarely is getting the information about the benefits of your product across to your potential customers. That’s easy. It just takes money for enough salespeople, ads, mailings or PR. But you quickly reach diminishing returns, where throwing more money at the problem produces little result. Creating interest in your product isn’t so hard either: all it takes is the promise of something different about your product that might actually make a difference to your customer. Serious trial, evaluation, adoption and expansion of use are other matters entirely. These latter stages of decision making are hellishly difficult to move people through. Conventional marketing methods are relatively ineffective during these stages of decision making. This is where most products are stuck. Why are conventional methods ineffective in the latter stages of adoption? Word of Mouth has been tamed and made manageable. It’s worth looking at how Ron Richards and I did it because there are some instructive lessons to be learned. Soon after I invented the telephone focus group, I started mixing together physicians who were using a product successfully with people who were not using it. The latter were often skeptics, laggards, triers who hadn’t adopted, or even ex-users. The reason for this research design (see my article Persuasion Design Laboratories), which I still use today, is to see how physicians who are adopters of a product will attempt to convince their less enthusiastic peers. Their wording, logic and sequencing can then be used in promotional materials. We noticed an amazing thing, as a byproduct of the research: Even when the adopters were vastly outnumbered, they almost always convinced a significant number of the non-adopters to try, or re-try, the product. Even one or two would convince ten or twelve! We followed up and found that the physicians had in fact tried the product and usually had changed their subsequent prescribing. Most people have noticed this phenomenon in focus groups, and much has been written about it, mostly in the form of criticism of the focus group technique ­ the old "one person can sway a group" criticism. We viewed this as a finding rather than a bias. When the group is swayed, it’s either an opportunity or a threat, you want to know why and how it was done, so that it can be duplicated or defended against. We kept looking at this group persuasion phenomenon and discovered additional things. It only happened under certain circumstances, and it was virtually always one way: adopters, no matter how few, convinced non-adopters, no matter how many. There was an extraordinary amount of constructive, respectful experience sharing going on, rather than abstract discussion, disagreement or debate. It was as if the non-adopters wanted to be convinced. We knew that there was a powerful force at work. We quickly rejected the idea that it was "peer pressure," because then the majority would sway the minority. This force was working despite peer pressure. Ron Richards had a background in sales and was interested in group selling. I came from a background in psychology and was interested in peer learning, problem solving and decision making. In one of our discussions late into the night, we realized that group selling and peer learning were different sides of the same coin. Only this was group selling without a salesperson! People were in an open situation in which they were free to learn from their peers, uninfluenced by outside forces. Since it is very difficult to argue with success, even one successful person would sway a whole group! The main difference between what we were doing and ordinary word of mouth was that we had caused it to happen. We had harnessed word of mouth. There were other differences between what we were doing and ordinary word of mouth. The moderator, while not injecting information and not exerting influence, could bring up important points that the participants might have left unexamined, or turn the conversation to a more constructive direction by asking for solutions to problems. If the moderator at any time lost objectivity and took an advocacy position, the entire atmosphere of the group was poisoned and the objective examination and experience sharing stopped. Of course, marketing research ethics precluded us from conducting large numbers of focus groups which had as their primary purpose directly increasing the sales of our clients’ products. We went to Roche, from whose focus groups we had developed many of our insights, and explained the situation to them. We proposed a very simple solution: tell the complete truth. We would invite physicians to groups in which no reference to marketing research was made. The sessions would be described as exactly what they were: open discussions in which physicians could discuss the drug in question with other physicians who had had success with it. Roche agreed to fund a large number of telephone conference sessions on Laradopa, their brand of L-dopa, an anti-Parkinson’s Disease drug which was a very difficult product. On introduction, its sales had skyrocketed, only to disappoint because of many side effects. Sales tumbled. The difficulty in using it was to adjust the dosage between the symptoms of the disease, which would appear when not enough of the drug was given, and the side effects of the drug when too much was given. In fact, for most patients, there was a mixture of symptoms and side effects. Many physicians had tried it and dropped it because of their frustrations in trying to use it. We scheduled many telephone conference sessions, each with about 8 primary care physicians who treated large numbers of Parkinson’s patients but did not use L-dopa, a couple who did, and a neurologist who knew how to use it. Sales tripled almost immediately. It was clear that the changed prescribing was due to our sessions. This was the first use of Peer Word of Mouth Sessions. Word of Mouth is now a "medium"
We realized that we had turned word of mouth from an out-of-control force into a promotional medium, something that could be included in the promotional mix: It was budgetable, deliverable on a schedule, predictable. In a lot of ways, it was more measurable than other media. Because it was done by telephone conference, we could reach people without the limits of geography, and include experts from anywhere without making them travel. We also realized that we had invented something that is not just another promotional gimmick. It is as basic as salespeople, advertising, and sales promotion. Each major element of the promotional mix delivers something that you and your customers need in order to make the decision. The basic need that advertising meets is the need to reach large numbers of people efficiently. Salespeople deliver custom made messages interactively. Peer word of mouth sessions deliver experience needed for verification and confirmation objectively. In the last decade, "Peer Influence" or "Peer Selling" groups have grown enormously. But most of them are done face to face, in the mistaken belief that physicians prefer them that way. Surveys and inviting tests show that, in fact, physicians accept and show up to telephone sessions more than to face to face sessions, provided that certain conditions are met, which I will go into later. In case there is any question about what physicians like better, you have only to look into the honorarium issue. As I stated earlier, I have never paid an honorarium to a non-expert participant in a telephone Word of Mouth Session. I only pay experts, and even that is a very small honorarium. So, the solution to the "honorarium problem," is to design telephone sessions that do not need honoraria. I have found in twenty years of doing these sessions, that the key is building in and communicating the educational value of the sessions. My attitude has always been, "why should I pay a physician, or other participant, to participate in an educationally valuable session, which is being given to him/her without charge and with great convenience, by phone ­ a session in which the physician can learn from an expert and/or peers, and can broaden his or her experience?" I’m sorry to say that peer word of mouth, now that it has been harnessed, has been abused in many ways. Sometimes, the sessions are purely promotional in nature, with no fair balance, and biased information. Sometimes, physicians are misled into participating in sessions they think are marketing research groups. Usually, at best, the sessions have not been carefully designed to come from both an educational and marketing point of view. Over the years, I have learned how to structure discussions which would bring out the best of our clients’ products. I have learned that there is no conflict between the responsible marketing goals of our clients and the educational goals of our participants. How do you structure the best programs? Very carefully. I find out, through client discussions and focus groups, what the participants need to learn in order to decide to use the product, and use it most effectively. I then ask, how will they best learn these things. You can’t just tell them, because telling is not teaching, and teaching is not learning. I then design and structure a customer driven program (in this case the participants as much as the clients are the customers). Basically, I figure out what the participants need to learn, in what sequence, from what sources and in what form. Sometimes, we design study materials for review before the sessions, sometimes the sessions have to contain experts, sometimes only peers, sometimes there is a need for a follow up session. Much of this is governed by keeping in mind the basic function of word of mouth: the spread of experience. Particular attention has to be paid to what experience has to be shared, and what will be the most efficient and meaningful way to do this. Sessions for different types of people have to be built in, with flexible, but well thought out agendas. Usually, there are about 10 people, all participating from their own unmodified telephones, at home in the evening, from all across the country. The sessions take place over a custom built telephone conference system which has been specially constructed to meet the needs of this type of conferencing and which allows us complete control of the process. The sessions are extremely informal, with participation in the form of questions and discussion. Often we poll the group to find out what topics, questions, issues or concerns were the most important to them. Then the guest expert talks for a few minutes to give general background, then answers the questions brought up in the beginning of the session, then specific cases are discussed. Sessions usually last an hour, but an hour on the phone is equivalent to at least an hour and a half face to face. The sessions are tested and tuned, so that they are appealing, informative and help the participants translate information into decisions and decisions into action. Then, and only then, should the client commit to hundreds of sessions. The point I’m trying to make here is that there is no set formula. You have to know what you are doing. Each product is different, each program is different, each session is different and each participant is different. So, session and program design are of paramount importance. I have seen programs which have wonderful educational value, but which did not further the marketing objectives because they did not address the critical thing people need to learn in order to remove the block that is holding them back from using the product. I have seen self-serving programs which met the marketing objectives perfectly, except that no one wanted to come to them, or they were so transparently self-serving and promotional that people were offended. Just as you can’t throw "selling points" on a page and have an effective ad, and just as you can’t recite benefits to a person and have an effective sales call, you can’t throw together groups and have cost effective peer word of mouth sessions. It is a tribute to the power of word of mouth that even some of the worst programs have caused measurable sales increases. Unfortunately, many of these increases were not lasting. In contrast, a well-designed program in which important things are learned has lasting effects that are superseded only when a better product comes along. I’ve already given you many of my trade secrets. Since I believe that the more I tell you, even though competitors will eventually get the material, the more likely you are to realize the kind of substance there is behind my programs and the more likely you are to come to me. After all, many people have written books on how to write a great ad, to the benefit of their competing advertising colleagues, only to have people say, "That’s the guy I want writing my ads." So here goes. The most important next step after the development of the Telephone Peer Word Of Mouth Session was the Follow Up Session. I realized that participants learned a lot in sessions, but there was no follow up to their learning. They had no way to put their experiences in context, to correct mistakes, to explore other issues. Programs offering participants one session were effective, but I wondered what would happen if participants were offered the opportunity to apply their experience and come back to a follow up session. Remember, the major function of word of mouth is broadening one’s base of experience. After the initial session, there was experience going on that wasn’t shared. Might the whole thing cause more than twice as many sales with two sessions, one following up the experience gained after the first session? I tried to get a couple of clients to let me test the concept. Two refused, saying that physicians would think it too self-serving on the part of the pharmaceutical company, and joking that it was pretty self serving on my part also. Finally, someone let me test it. I struggled with how to get physicians to come back to a follow-up session. Every wording sounded blatantly manipulative and not of benefit to the physician. Then I realized once again the power of customer driven marketing, in this case the physician being the customer. I asked myself, "What’s in it for him or her?" Then I got excited. I realized that this was a wonderful opportunity for the physician. In the very next group I ran, I pointed out to the physicians that some of them obviously would be starting to use the drug on some patients. But they would have trouble interpreting their results. So, the sponsor was willing to offer the following opportunity: If they each put 5-15 patients on the drug in the next few weeks, and then came back to a follow-up session, they would have 50-150 patients to compare. While it wouldn’t be a double-blind crossover clinical study, it would be better than trying the drug in isolation and trying to interpret the results. We could discuss therapeutic efficacy, and short term side effects. It could probably compress a couple of years of cautious trying into a few weeks or months of equally conservative trial. I made it clear that if they did not try the drug, they were still welcome to come back to ask questions of the others. Then I pulled the headphones away from my ears, expecting to be blasted for such an obviously self-serving suggestion. As you probably guessed by now, they loved the idea! I even asked whether they thought this was self-serving on the part of the pharmaceutical firm. They said that of course it was, but as long as we did not exclude negative comments in the session, they thought that there was no conflict between their interests, the company’s interests and the patients’ interests. I then asked them to estimate how many patients they thought they would be putting on the drug, explaining that their answer was not a commitment, but that it would be helpful to know, so that we could mix people who had a lot of experience with people who had not tried the drug. Most were quite willing to estimate. The number was severalfold higher than the usual first trials. Neither the client nor I believed the numbers. We got the same results in a dozen more groups. We waited an uneasy several weeks. Over half the physicians came back to the follow up sessions. That was a disappointment that I’ll address later. But amazingly, the participants had put only 10-20% less patients on the drug than their original amazingly high estimates. In this case, the client made back multiples more money on the trial between the sessions than he had paid for the entire program. In addition, since the drug performed as promised, they decided to adopt the drug without further dragging their heels. Most said that this was the best, most responsible way to introduce and evaluate a new drug into their practices. Sales jumped. Now, what about those who didn’t attend the follow up sessions? Did they, after the enthusiasm of the moment, decide that they had been "had"? Did they not like the initial session? Were they dissatisfied in some other ways? I was worried. I knew I didn’t have a business if I was antagonizing half the physicians I was talking with. So we called them to ask why they did not come back to the follow-up session. Less than 1% expressed dissatisfaction. Most said that they had tried the drug just as they had said they would, but that they had such good results that they decided to use it regularly, and didn’t want to spend another hour pooling experiences to make a decision that they had already made! We subsequently compared increases in sales of participants who participate in an initial session only to those who have participated in the two sessions. Over the years, two-session participants have brought in a 10 fold return on investment, while one session participants have brought in three fold ­ not bad, but obviously people who think they are already sold still could use the extra confidence that hearing about the success of their peers inspires. A few more points about doing these groups by telephone. Telephone groups stand or fall only by their educational value to the participants and their marketing value to the company. As you probably know from my other writing and speeches, there is no conflict between the two. Marketing is the practice of providing valuable transactions. One of the most valuable things you can do in support of your product is to provide valuable customer education which will make the decision easier and the product more effective. On the other hand, face to face meetings involve travel to and from the meeting site. Even local meetings require a significant commitment of time. Honoraria of some kind must be paid. Where meetings take place in an exotic location, with the company picking up the tab, the travel and lodging constitute the honorarium. They are widely viewed as constituting a bribe. Since these are no longer allowed, I predict that a variety of schemes will emerge to get around this prohibition. But remember that any incentives other than genuine educational value send the wrong message: that the program needs an incentive either because it doesn’t have the educational value or the objectivity to make you want to spend the time. Do you want your programs imbedded in this context? In addition, face-to-face groups have the same physicians coming to them time after time, for the honorarium, the meal, the trip, or the social contact. The mix sure changes when the incentive is purely educational! You reach physicians who really want to learn something. Over the phone, that’s all they get. What’s more, face to face groups are much more expensive. I can do initial sessions with an expert, plus a follow up session for a lower price per physician than one initial face to face group. How to move the "late adopters"
I discovered that people who characterize themselves as late adopters or even laggards are often among the first to try a product when they have the support of this kind of a system. Often people are slow to adopt because it is their personal policy to wait to see what others’ experience is. When they are offered the chance to try under conditions of low risk with a high potential for being able to evaluate their trial in the context of others’ experience, they frequently jump at the chance. So it is naïve to pigeonhole people as innovators, early adopters, middle majority, late adopters and laggards. They often adopt with different speeds in different circumstances in different product categories. If you know how to create the right conditions which give people the right support, you can get people who would ordinarily have taken 3-5 years to adopt a product, to adopt it in a matter of a few weeks or months. Another thing I discovered was the power of live experts. I had originally thought that pure experience sharing among peers was best, and for some programs they are. I found that often when experts are introduced, the more typical participants clam up. So we often included experts via tape recorded excerpts, so that the participants would feel free to share their experiences without fear that an expert would tell them that they were wrong. I have discovered many techniques in the last few years, however, to include the power of live experts while getting physicians to express some of the uncertainties that they are ordinarily reluctant to express. Of course, in addition to these moderating techniques, the fact that participants are on the telephone helps, since they are in different cities and are not as concerned about preserving local reputations. The two step function of experience: I’ve found that there is a two step process in experience gathering via word of mouth. First people want to know what the upside potential of the drug is. They speak of this as its "promise." Here, they look toward the company to make the claim, or promise, and the expert to confirm this upside potential. But that is not enough for a decision because the endorsement of the expert only says to the decision maker that under ideal conditions, in an expert’s hands, the claims are true. Next, the decision maker still has to decide if the promise will be fulfilled in the real world, the more typical world, of his practice. That can only be done by hearing peers on one’s own level, or by direct experience. This process usually takes years to go from initial interest to trial to adoption because it takes an inordinate amount of time to talk to so many people to gather their experiences. The following flow can compress a many-year process into a few weeks or months: An initial session with an expert, with organized trial after the session, with another session containing an expert to put experience into context and give practical tips and suggestions. That’s how to accelerate the experience gathering and evaluation that people need to adopt your product. If all this sounds too good to be true, it might be. This kind of approach, in contrast to the promotional "sit them down and make them listen to a sales pitch" approach, only works with products that can benefit from objective scrutiny, but when it works it is the most spectacular, honest, responsible and lasting means of increasing sales you ever saw! If you have a product that fits, you may be able to cut your advertising, sales time and everything else to the bare minimum, or cut them out entirely. Candidly, I’m very worried about the future of this medium. Experience has already shown that there have been abuses, just as there have been abuses of other media. However, peer word of mouth sessions are in some ways more subject to abuse. No one expects a salesperson, or an ad, or a brochure to be objective. After all, they are advocacy sources. That’s why word of mouth is needed, to give fair balance. So, anything that compromises fair balance and objectivity strikes at the heart of what people are looking for and will backfire in peer word of mouth sessions. It is very easy to lose objectivity, to play down one issue and emphasize another. The moderator can forget his or her role as the guardian of fair balance, openness and thorough examination of the evidence. The expert can become overenthusiastic. The moderator or someone else can give a sales pitch. There are many ways to lose the sense of being a disinterested party, and all of them hurt the program, the product, the medium, and all of them ultimately backfire. All of them make it less likely that the person will participate in the future. I’m very proud to say that physicians continually want to come back to our sessions, and our acceptance rates keep going up. We continually get letters praising our programs, and many physicians say that our sessions are the best way for them to evaluate new drugs and that they should be offered with every new drug introduction where the manufacturer really believes that the new drug offers real advantages. Recently, a particularly candid salesperson for one of my clients’ products said after talking with physicians who had participated, "More real selling gets done in one hour in your sessions than any salesperson can do in a year." The most amazing example of the attractiveness of our sessions occurred 45 minutes after the 6:45 PM EST start of the air war against Iraq. The whole nation was waiting anxiously for this event. We had a session scheduled with physicians for 7:30. When we placed reminder calls to them 20 minutes before the session, every physician had heard the news and was tuned into the news media. We told them that we would be glad to reschedule the conference, and would get them all on the line to see what they would like to do. A couple of them asked to be rescheduled, but 10 agreed to get on the line at the time of the conference to decide what to do. When we convened the conference, I said that we would certainly understand it if they preferred to run back to their TV sets and do the conference at another time, but that we were prepared to conduct the conference if they wanted to, with one of my staff members breaking in with bulletins. They said that one hour would not make any difference, especially in a situation that they could do nothing about, so they might as well learn something useful. We ran the session. It was one of the best sessions I have ever heard, with everyone participating actively. After the session, we found out that the guest expert had a sister in Israel and was extremely anxious about the threatened chemical warfare attack. Fortunately, the medium is also robust. It is live, so if the moderator, an expert, or even another participant loses objectivity, the other participants usually bring them back on track. Still, I worry that some people will copy the superficial aspects of this medium ­ group discussion of a product ­ without understanding its underlying workings, and thereby turn off many people who could benefit from participating, and denying the process to many products which could benefit. If people don’t believe your claims, they usually don’t believe your evidence either. Here, there is no substitute for independent corroboration. Breakthroughs require departures from present thinking and practice. Most people (except innovators, who studies show aren’t influential, it’s the early adopters who are) wait for everyone else to validate them. Here, peers can show that the little differences make a difference in a practical way. The risk can often be reduced, shared or put into perspective by talking with peers. Again, peer discussion can get people to take a new view. This is uncontrolled word of mouth at its worst. The right combination of experts and peers can set the record straight. This is a particularly sensitive issue in the pharmaceutical industry, so I’d like to spend some time on it. Companies are restricted from promoting the use of products in any way that differs from the Package Insert, otherwise called the "Full Prescribing Information." They may not talk about other conditions, dosages, frequencies, forms, ways of administering, or anything else that is not in the PI. Direct communications from pharmaceutical firms are considered to be part of the labeling of the product. Anything that is "out of labeling" can, and does, cause the FDA to inflict severe direct and indirect penalties. While this makes sense on the face of it, in reality there is a severe problem. The medical literature is full of useful information about using drugs in ways that have not been officially approved. Often the approval will never come, because a way of using a drug is found to be so superior that it is unethical to do a study withholding the treatment from the control group. Yet, the approval can only come on the basis of a scientific study. How can this information be gotten across in a responsible way? The FDA recognizes that they cannot restrict physicians from using approved drugs in unapproved ways, because that would be telling physicians how to practice medicine and there are many situations in which these uses are highly desirable. They also recognize that they cannot interfere in medical communication, i.e. physician to physician information flow. So, companies are allowed to sponsor, fund, or underwrite in the form of grants, medical seminars in which independent experts comment and clarify issues, including non-approved indications and other issues outside of approved labeling. Peer Word of Mouth sessions, especially those containing experts, fall well within the letter and the spirit of the law. The idea of all the restrictions is to keep companies from presenting one-sided, biased, distorted and unverified information. We make sure that our experts present all sides, and clearly characterize their comments as speculative, or probable but not yet proved, proven beyond dispute, etc. When a non-approved issue is brought up, the moderator or the expert is scrupulous in telling the participants that the use is outside of officially approved labeling. They are still allowed to discuss it, but only in this context of full disclosure. We insist with our clients, and it is written into our contract, that we, together with the experts, will exercise editorial integrity and cover the ground objectively. Experts are instructed to emphasize the negatives as well as the positives of our clients’ products as well as all others discussed. Our moderators remain strictly neutral and are not allowed to disseminate medical information. It should be stressed that the way we handle non-approved uses is not a way of getting around the law. It is a way of complying with it. Products which are so much a matter of personal taste and or emotion that rational discussion is irrelevant to the decision. Products where the decision value is so small (low price + low volume) that the medium will not be cost effective. On the other hand high price/low volume or low price/high volume are often ideal. The principle here is that there has to be enough value in the decision to adopt to justify what the program will cost. I would be happy to talk with you about whether your product is suitable for Peer Word of Mouth Sessions and show you how to calculate whether the sessions are likely to produce a sufficient return on your investment. If your product looks suitable, my approach is to structure a small pilot program to prove feasibility and effectiveness, before moving to the full scale program.